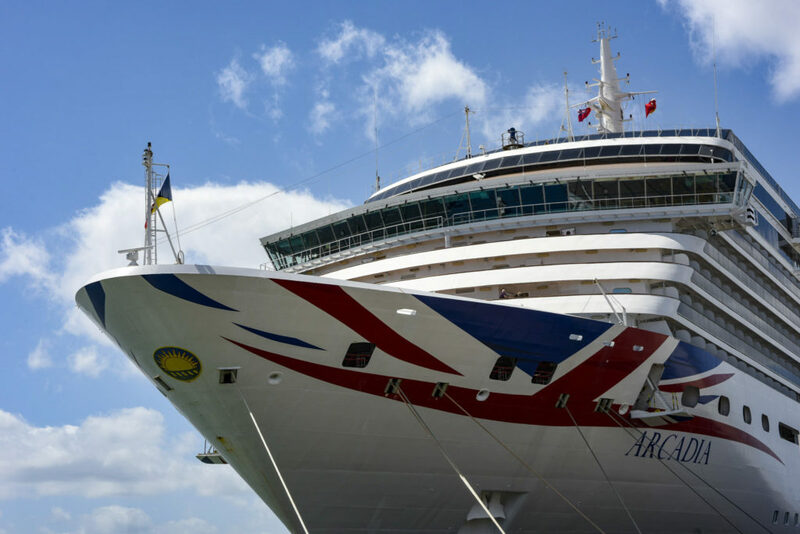 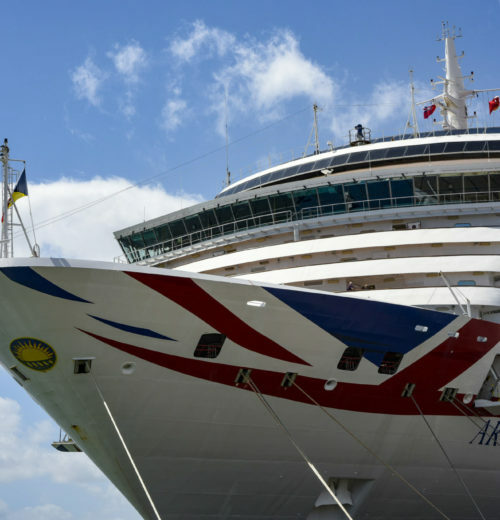 The stylish Arcadia cruise ship operated by P&O Cruises is renowned for its relaxed, intimate atmosphere and timeless sophistication. 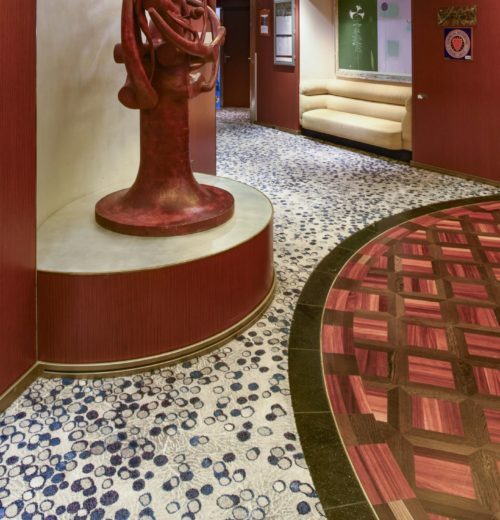 Catering exclusively for adults, this chic ship features elegant surroundings including an impressive art collection with over 3,000 works of art. 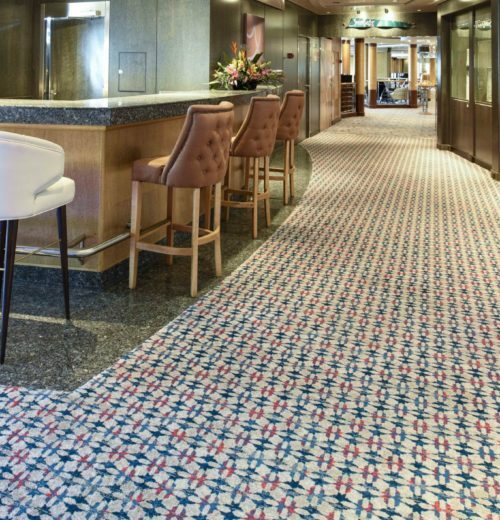 For Arcadia’s most recent refit P&O engaged leading hospitality interior design practice RPW Design to update the ship’s interior and reinvigorate its unique character. 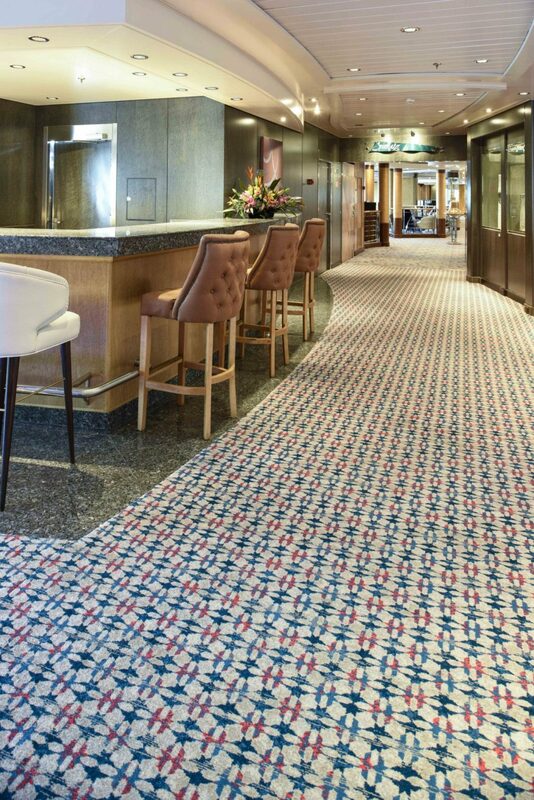 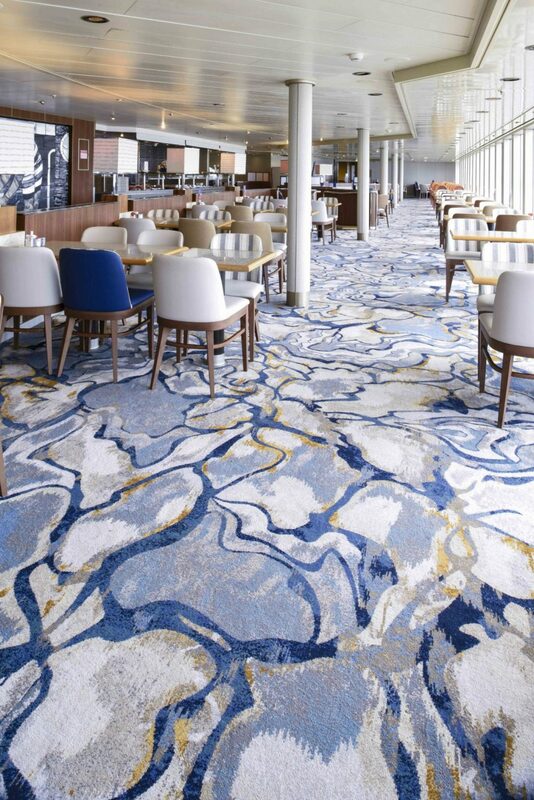 Ulster Carpets was delighted to work with RPW Design to create over 15,000m² of custom axminster carpets for the ship’s bars, restaurants, lobbies, spa and fitness centre, galleries, reception, atrium and guest suites. 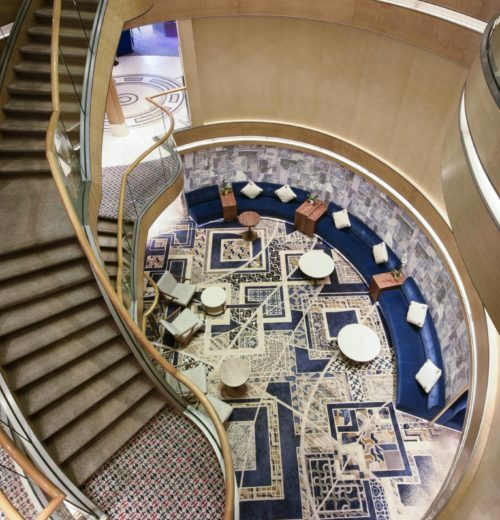 For Arcadia’s interior design scheme RPW brought out the ship’s qualities of luxury and opulence as well as highlighting a sense of travel and adventure through designs featuring maps and memories of places visited. 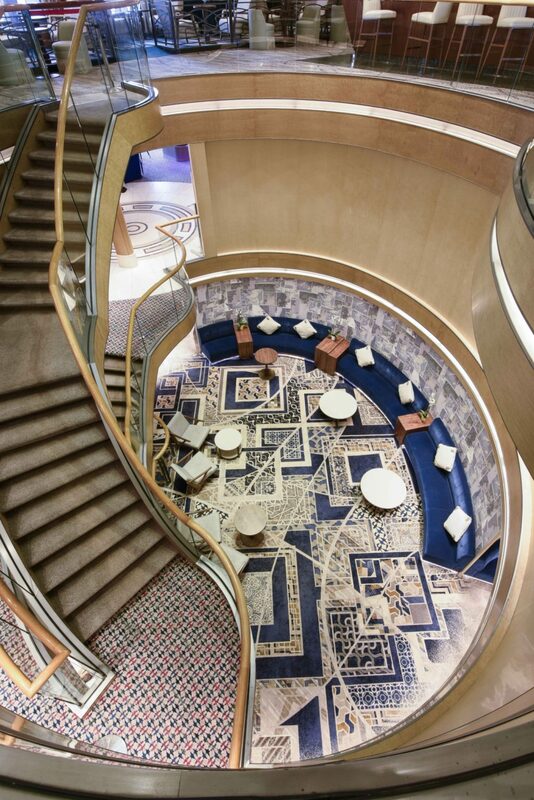 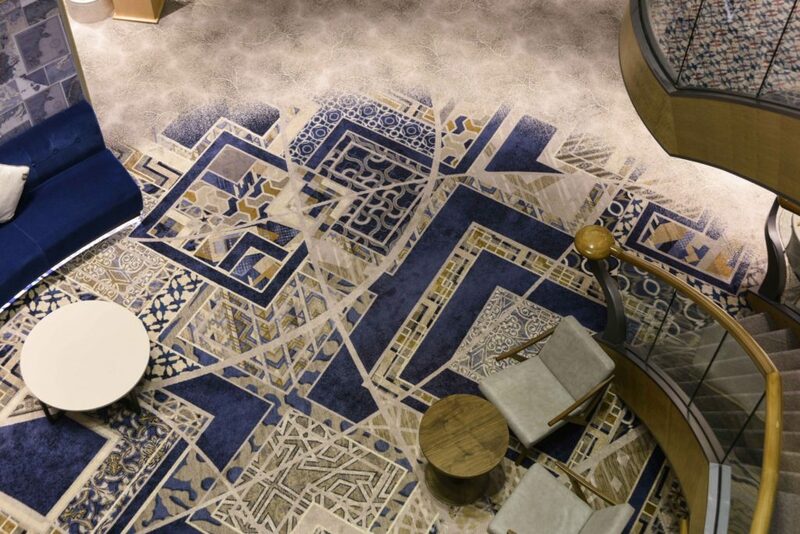 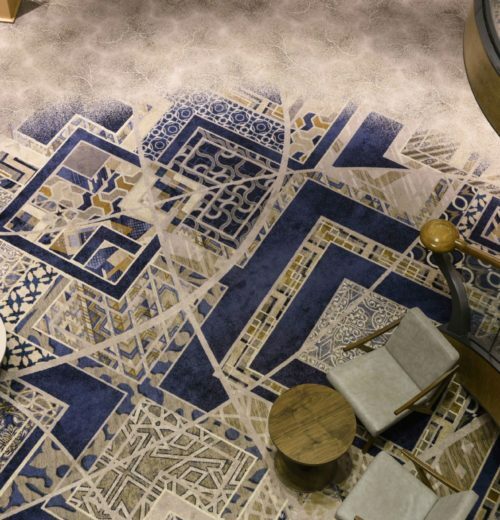 For example the carpet in the atrium references global travel with overlaid patterns and textures. 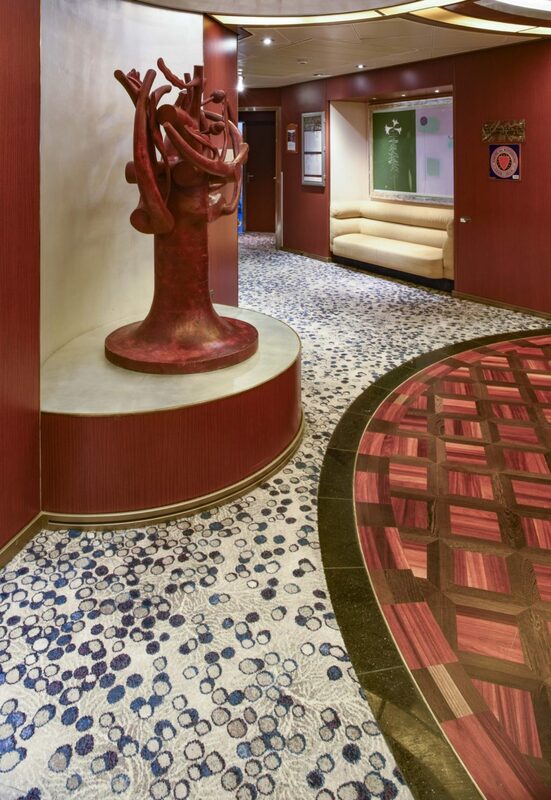 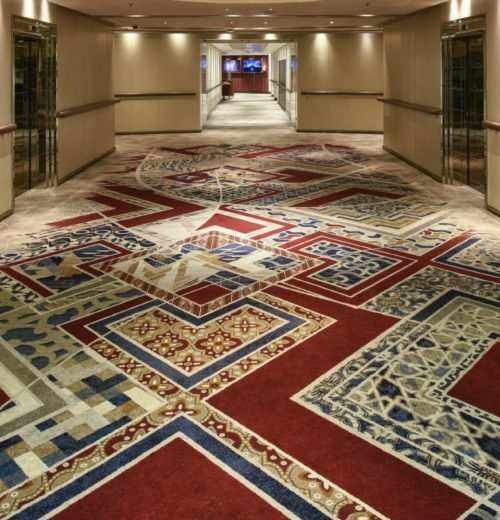 Sections of this pattern are featured in the carpets in circulation spaces throughout the ship providing a common link and continuing the design story. 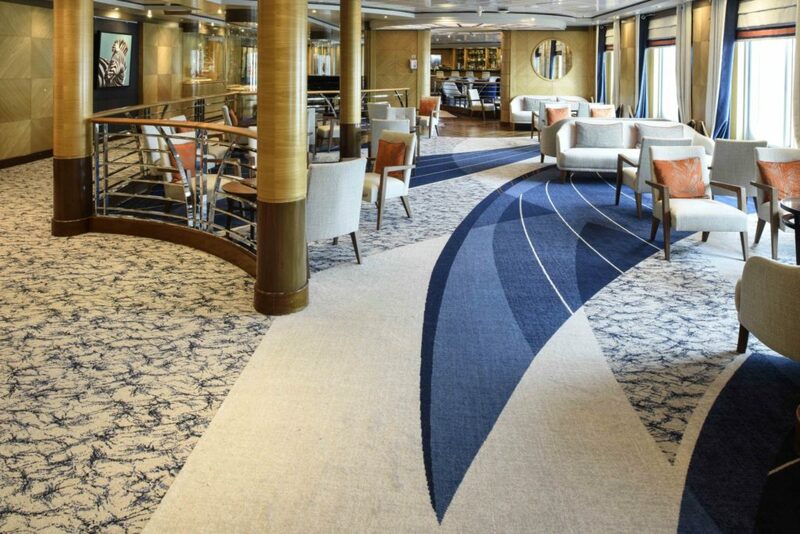 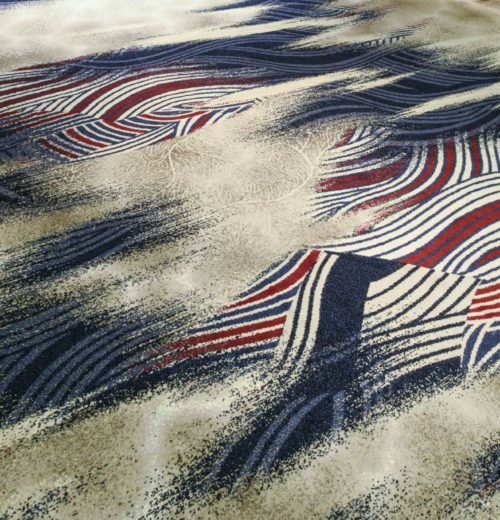 Ulster Carpets has significant experience in providing premium quality carpet specifically for the marine industry. 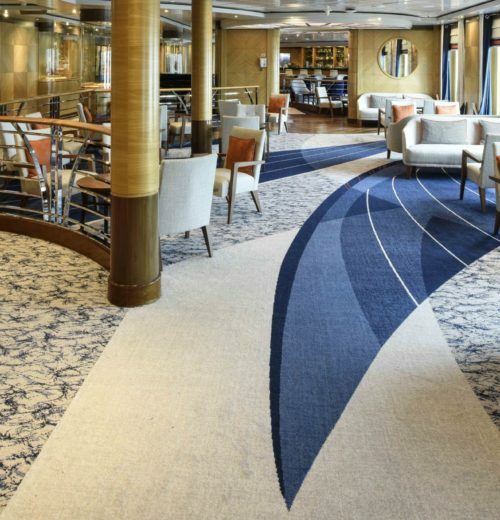 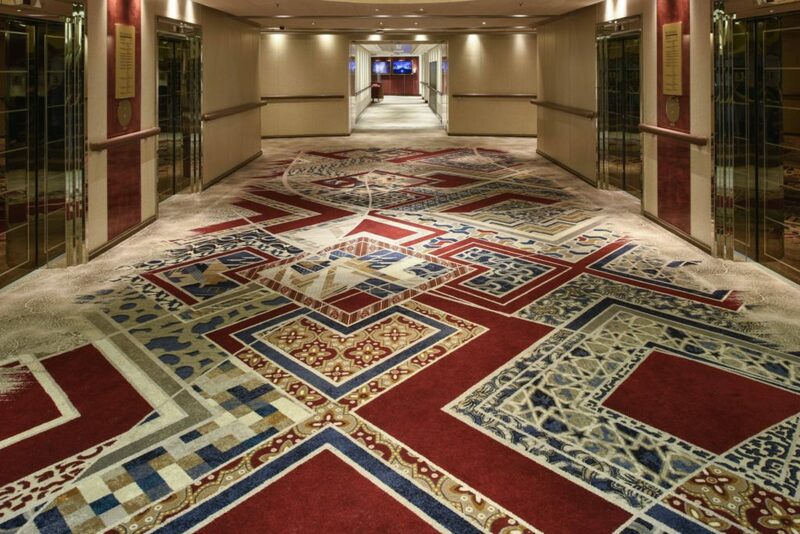 Over the years we’ve supplied custom carpets to many well-known cruise lines around the world including Royal Caribbean International, Cunard, Regent Seven Seas Cruises®, Crystal Cruises, Princess Cruises and Holland America Line. 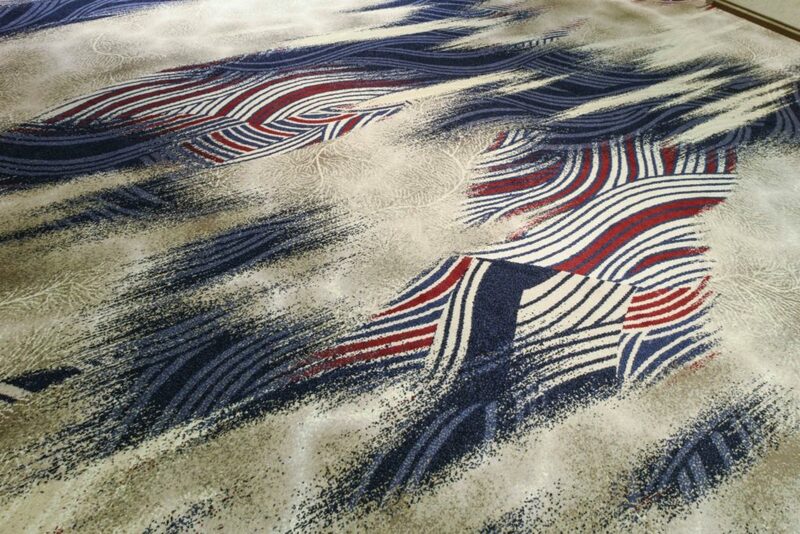 By combining creative design talent with our unique, innovative weaving technology PSYLO™, Ulster can offer unlimited design possibilities without the need for a repeating pattern, resulting in unprecedented depth and texture of design. 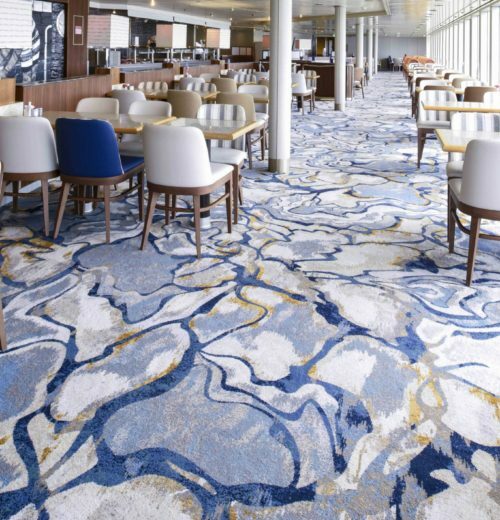 These design capabilities combined with the high level of customer service are the reasons prestigious clients continue to work with Ulster project after project.